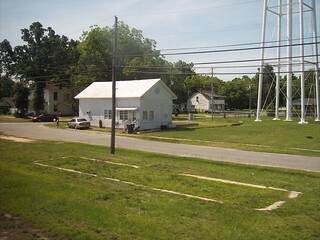 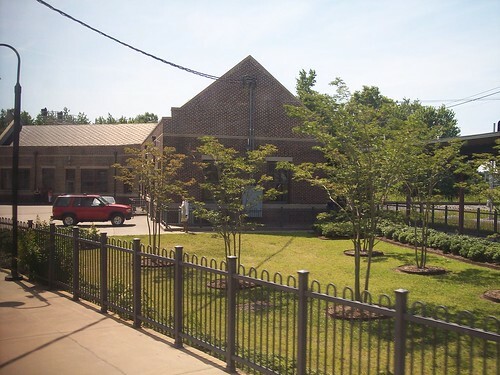 The station building at Selma. 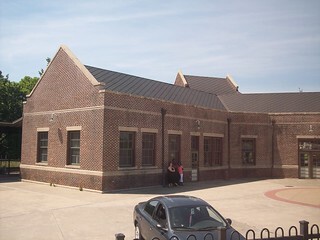 Amtrak calls the station Selma-Smithfield, but the station signage just says Selma. 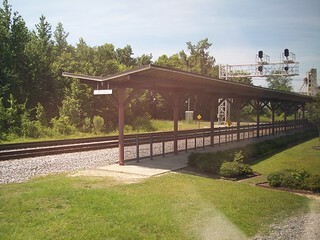 I believe the Silver Meteor and Palmetto continue down the tracks at the right, but can't say for sure since I was asleep riding through here on the Silver Meteor and haven't ridden the Palmetto yet. 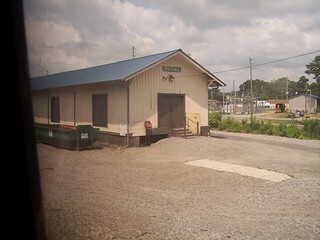 We pass an old freight station in Selma.